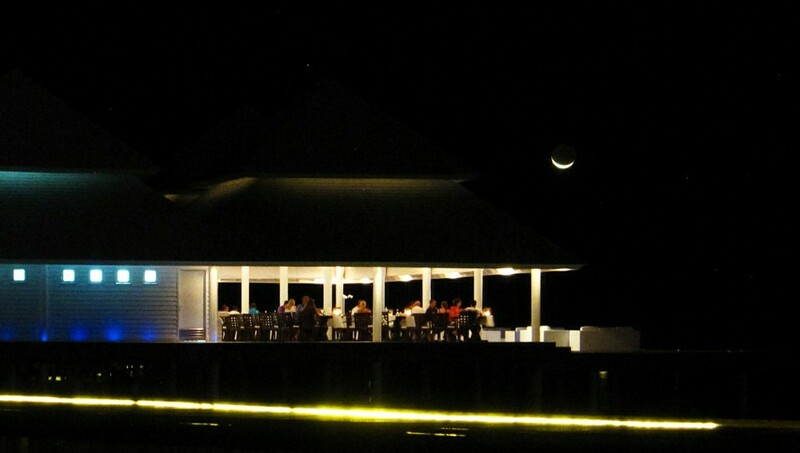 A new moon hangs over the Water Villa restaurant at night. 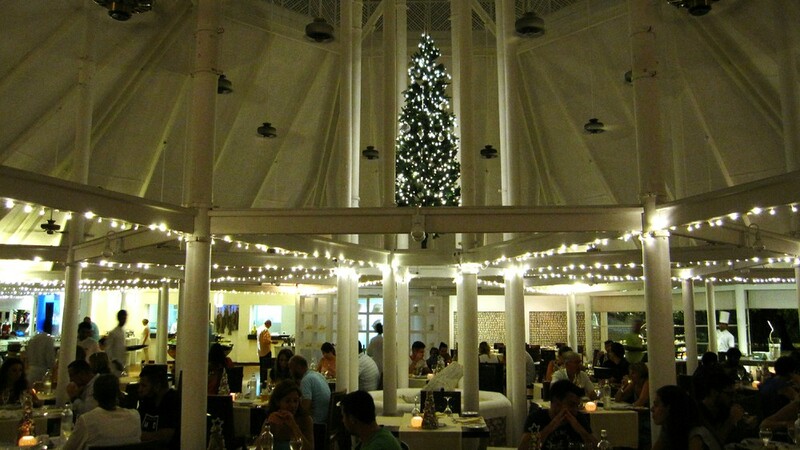 Diners in the Main Restaurant, with another Christmas tree hanging from the ceiling. 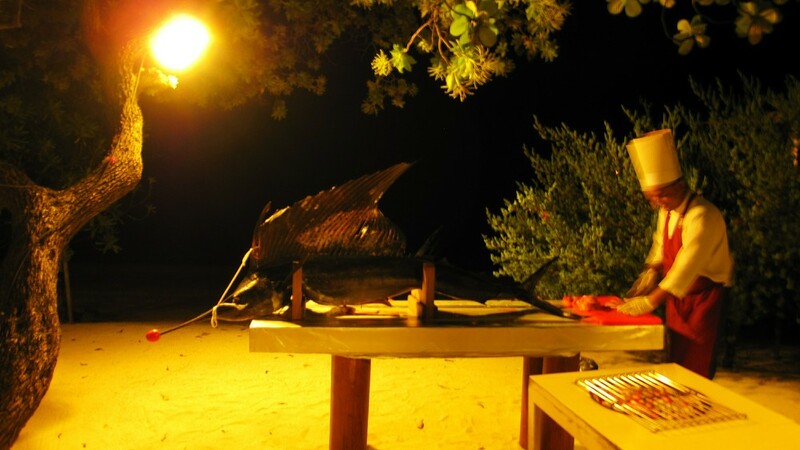 A Sailfish being prepared for the bbq grill at the Main Restaurant. 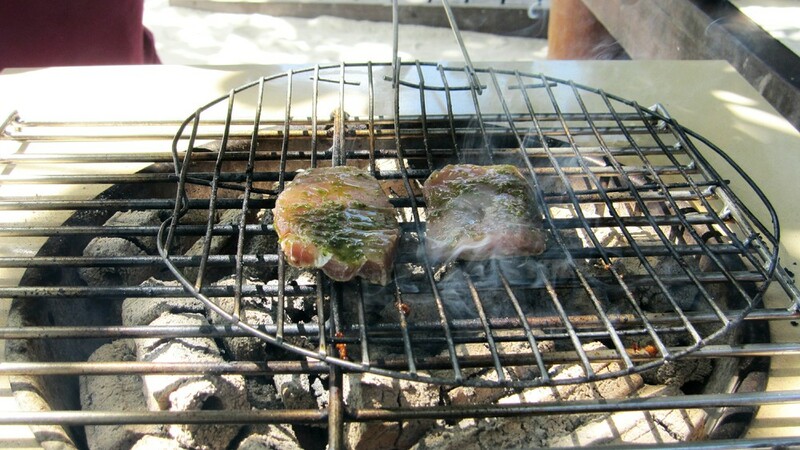 And onto the grill it goes. 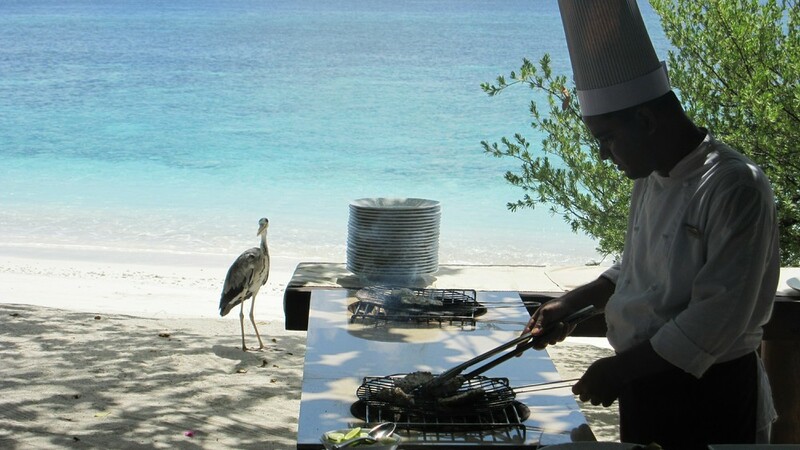 At lunchtime Aaron the heron begs for scraps of fresh fish from the bbq grill chef. 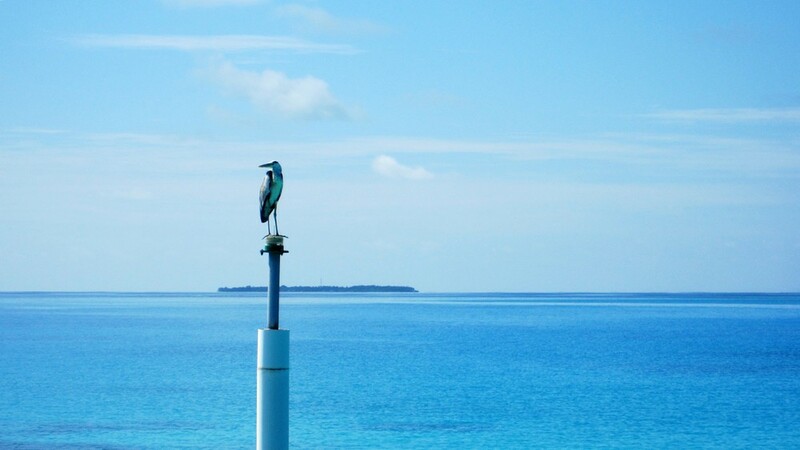 When the bbq grill wasn't going, Aaron could frequently be seen biding his time on one of the marker posts at the lagoon entrance. 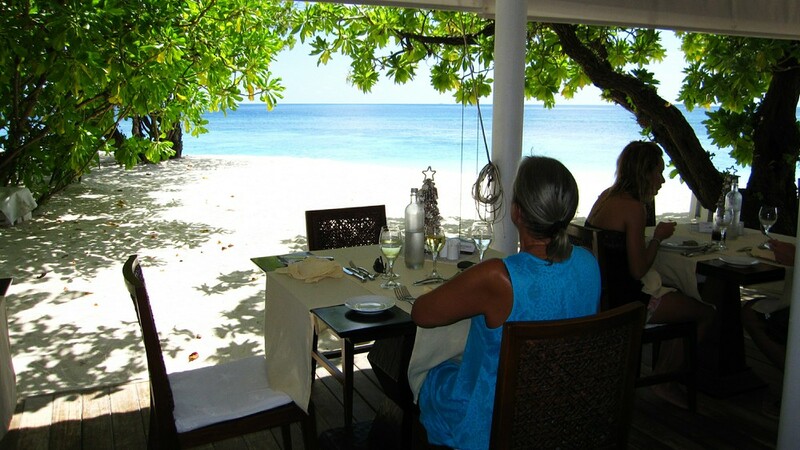 Linda drinks in the view across the beach to the Indian Ocean at lunchtime. 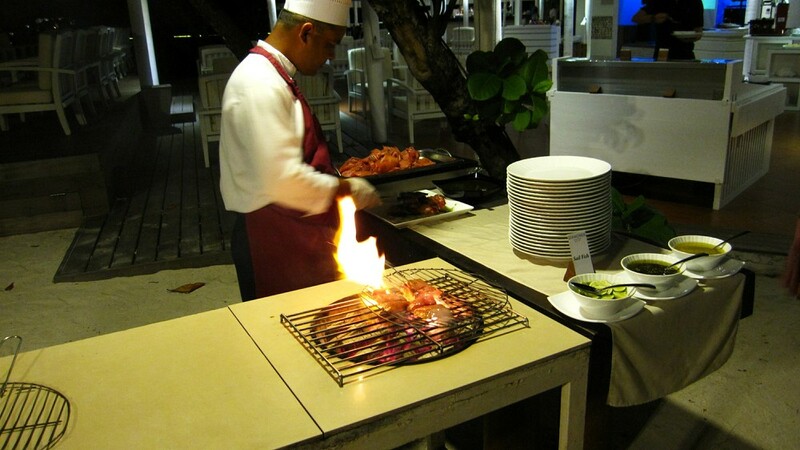 One morning at breakfast, we saw a pod of 20 or 30 dolphins swimming from right to left a couple of hundred metres out. 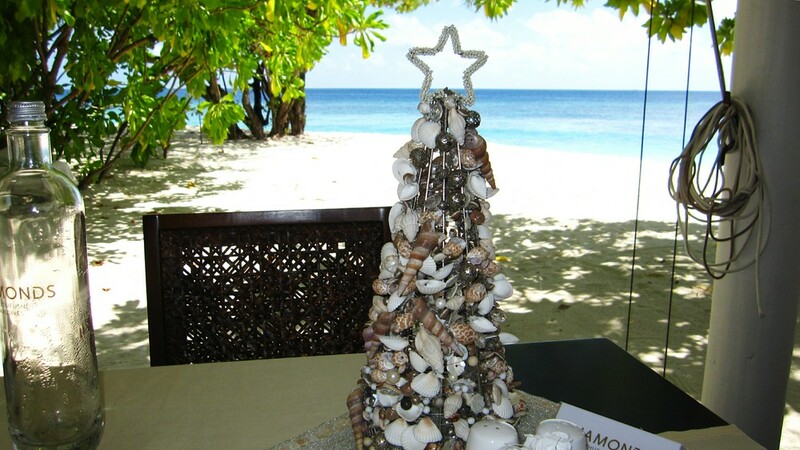 Every table was adorned with a Christmas tree of shells. 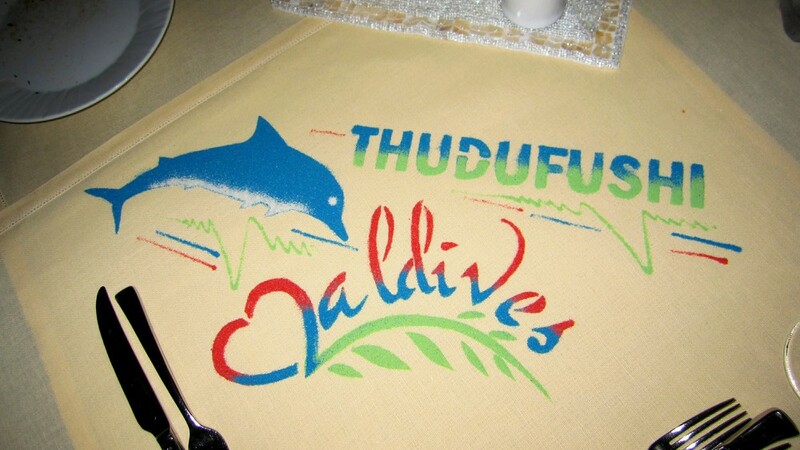 Your waiter will decorate your dining table with coloured sand on your last evening.